It’s like a Hobbit house. That is, its feet are larger than one expects. 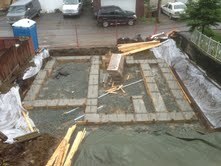 The footings for the laneway house are now poured concrete, not just forms. 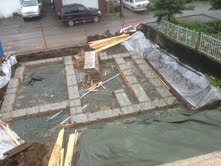 They are solid concrete — a sound foundation for our new home. Poured in the pouring rain. 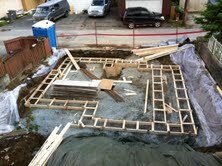 The rebar sticking out of the footings shows where the walls will go for our main floor. The trees at the front of the house have all their leaves now, and the work is literally taking shape. Thursday evening was our first official, regular site visit with Laurel and Angelito from Novell. We met at 6 and viewed the developments, and developments there were. Also — moving! It’s happening and we are busy up to our eyeballs in the process. 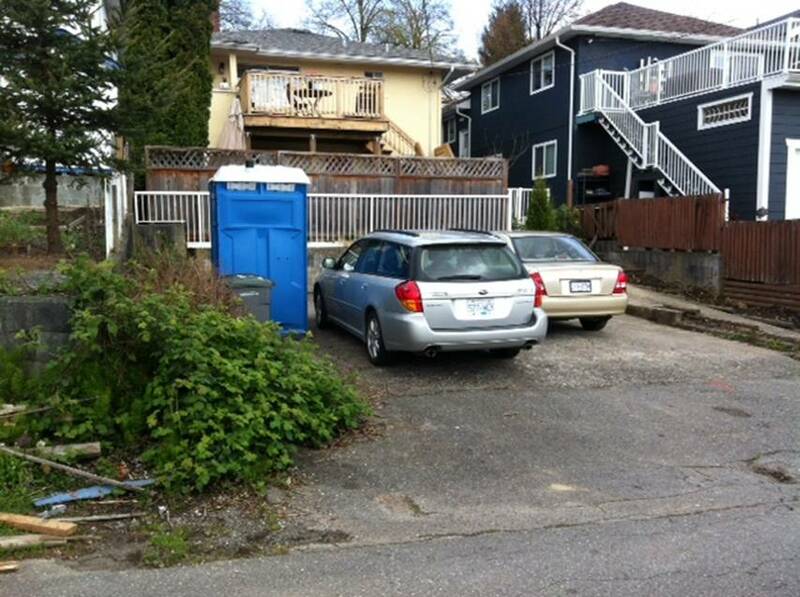 Posted in Laneway House and tagged Lane house, Laneway House, Small House, Small Style. Bookmark the permalink. 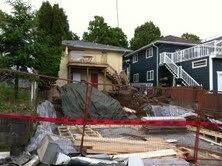 On this Sunday’s Home Discovery Show on CKNW, Ian and Steve and I will be talking about the newest developments at the laneway site, as things start to literally take shape! Posted in Laneway House, The Home Discovery Show and tagged Lane house, Laneway House, The Home Discovery Show. Bookmark the permalink. Thius 425 square foot Manahttan apartment comes to us via the Inhabit website. 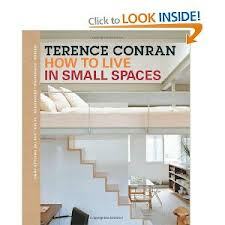 It’s another sleek, cool looking micro-apartment, built into a loft and over 3 floors. 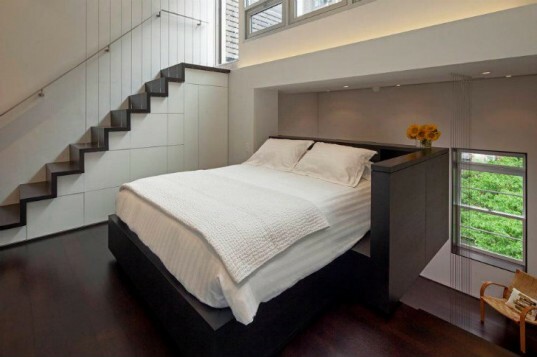 Of course it is loaded with built-in storage — the space beneath the stairs is non-stop closet. And it manages to maintain a comfortable feel while keeping clutter to a minimum. The owners are using it as a pied-a-terre, not planning to live there full time, but I think it would be perfect for a single person (or a very compatible couple). I hope they hang a few paintings to take advantage of all that light. BTW, you may want to subscribe to Inhabit’s newsletter. It’s NYC-centric, but full of articles of interest to all sustainability and small-living fans. Posted in Cities, Decorating, Housing, Small House and tagged Decor, Neighbourhoods, New York, Small House, Small Style, tiny apartment. Bookmark the permalink.